HILLSBORO — Sure, ratings and rankings can be important. But there are some things that just might be even more important. Such as, playing with a lot of energy, getting some clutch hits and, of course, getting a pitching performance like the one turned in by Ashley Davis. 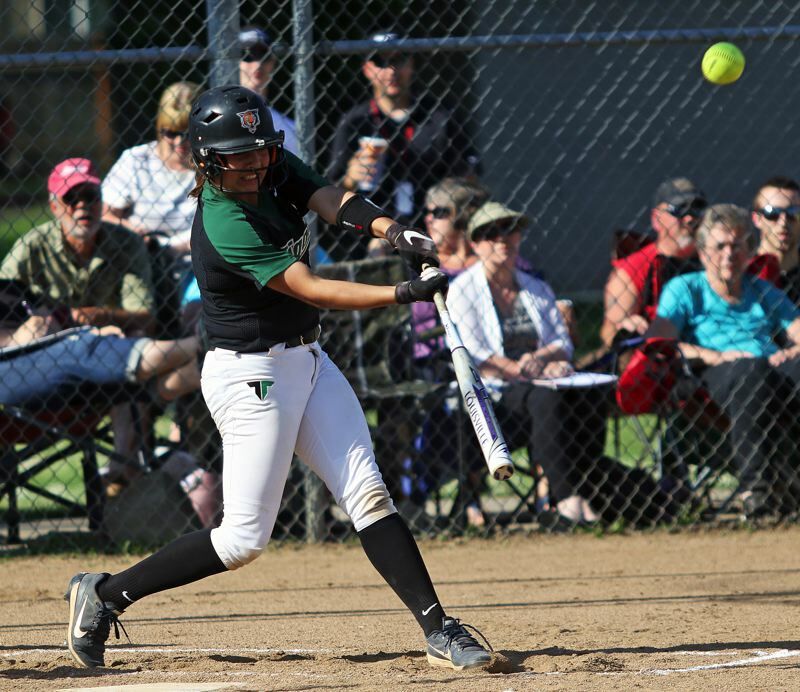 The Tigard High School softball team, behind its energy, timely hits and Davis' pitching, came up with what, at least on paper, could be considered an upset, as it powered its way to a 3-0 win over Glencoe in a Class 6A state playoff second-round game played May 23 at Glencoe High School. "This is huge, so huge," said a smiling Davis, a Tiger senior who struck out 11 batters in the shutout. "We haven't made it to third round for so long. We're honored." 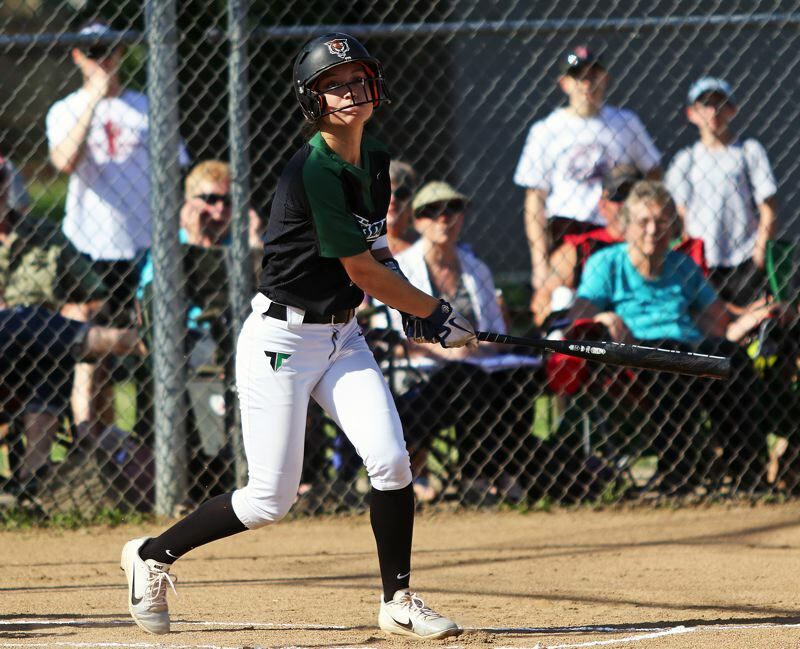 "It's really big," said Tigard junior shortstop Maddie Hoover, who drove in a pair of runs in the victory. "It's been a long time since we've been past the second round, so it's really exciting for us. We all came out with a lot of energy. We were the lower seed, but we really wanted to beat them. We were on it. We came out strong, and it was just really good." 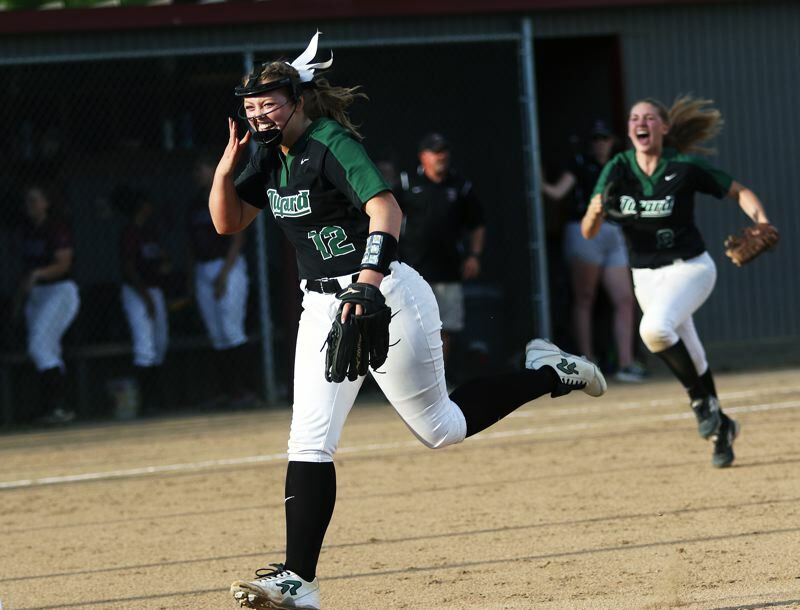 "It's a huge win," said Tigard sophomore catcher Emily Paulson, who drove in the first run of the game. "We've been practicing so hard, and this means a lot to us, because we've become so cohesive." With the victory, Tigard, the No. 2 team out of the Three Rivers League, and the No. 11 team in the final OSAA power rankings, improved to 24-4 on the season. The Tigers also advance to the quarterfinal round of the state playoffs for the first time since 1995. They'll play at defending state champion North Medford in a state playoff quarterfinal game starting at 4 p.m.
"We're going to have to play like with did today, with a lot of confidence," Paulson said of the quarterfinal contest. "And we'll have to be ready. I think we can win." "This was so much fun, and it's going to get more fun," Hoover said. "We're going to go all the way. We're excited." Glencoe, which won a share of the Metro League title, and was the No. 6 team in the power rankings, finished its season with a final record of 23-5. 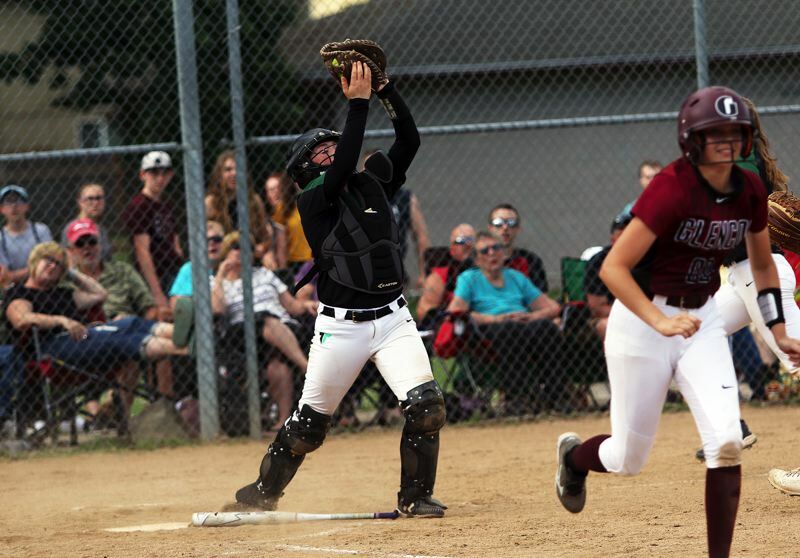 "We've had ups and downs, but I think we had games were we really played together as a team, and we all realized that we're all sisters, and we wanted to stay," said Glencoe freshman second baseman Dana Butterfield, who made two spectacular defensive plays, while also hitting a double, in the second-round contest. "We had great fun. We always remembered to have fun." 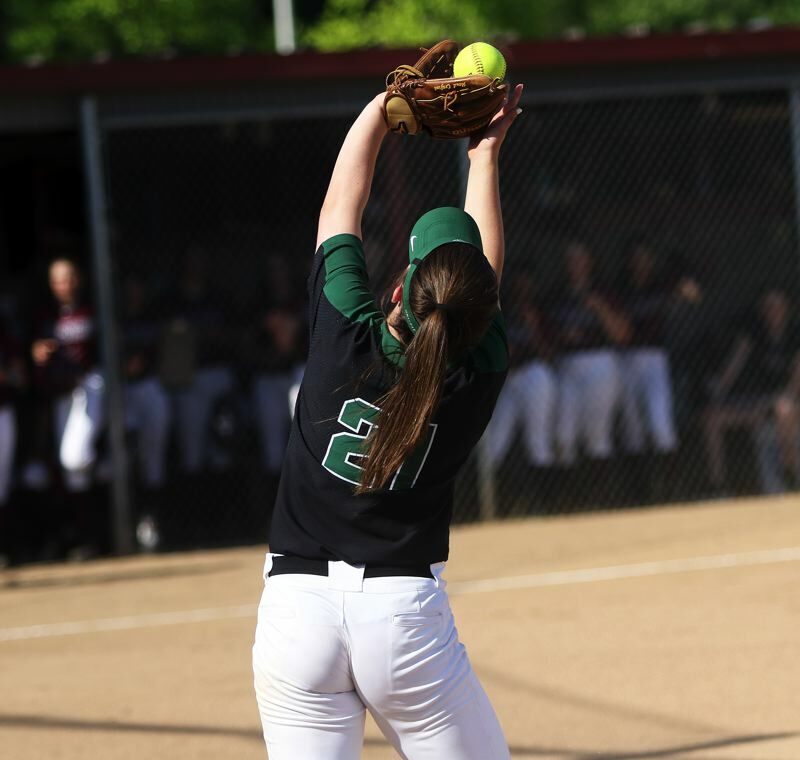 Glencoe, like Tigard, was looking to keep its season going. And the Crimson Tide, again like the Tigers, boasted a standout senior pitcher in Izzy Womack. But, on this day, it would be hard for anyone to top Davis' performance. In seven innings of work, Davis gave up five hits, while striking out 11 and walking one. "I wanted this game," Davis said. "I play with a lot of those girls, and I was really excited about it. This was a great game." "Ashley looked amazing," Paulson said. "She was hitting all her spots, and working all of her pitches." Davis and Womack both looked strong in the early innings, but the Tigers were able to break through and get a key run in the top of the third inning. Junior Lexi Klum got things going in the inning with a one-out bad-hop single to center field. Klum the moved to second base on a sacrifice bunt by Hoover. Paulson then hit a hard ground ball which looked to be a sure base hit to the left side. Glencoe junior shortstop Morgan DeBord made a backhand stop of the ball deep in the hole toward third base, but Paulson beat DeBord's throw to first. The speedy Klum came all the way around to score on the play, giving Tigard a 1-0 lead. "It felt so good, and to get that first run up there gave us some confidence," Paulson said. "I was little in front of it, but I knew I could punch it through the 5-6 hole, because there was a pretty good gap. 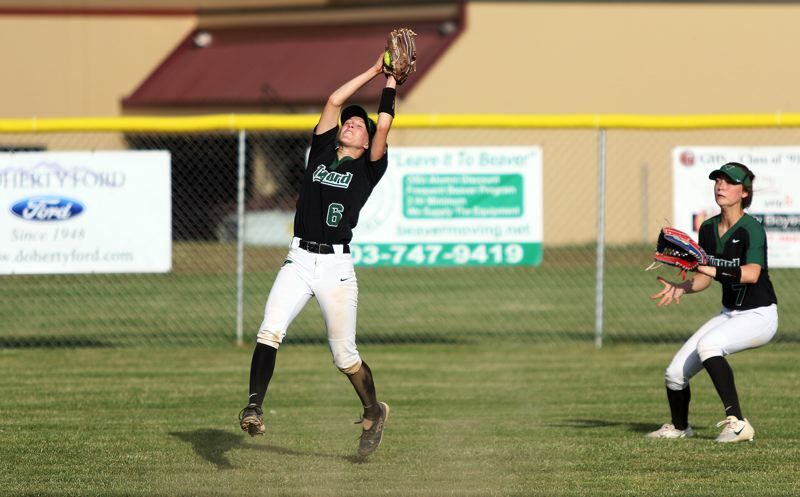 I knew I had to get down the line really fast, because Morgan, their shortstop, is really quick." Glencoe threatened in the bottom of the fourth inning, when junior Jensen Becker drew a one-out walk and then moved to second on a sacrifice bunt by Womack, and again in the fifth, when Butterfield hit a one-out double. But, both times, Davis was able to pitch out of the jam. The Tigers then got a pair of insurance runs in the top of the seventh inning. Junior Elli Dardis going things started with a leadoff single to left. Following a fielder's choice grounder by freshman Sophia vanderSommen, Tiger sophomore Abby Soderquist singled to center field. A sacrifice bunt by senior Caroline Riggs put runners on second and third with two outs. Glencoe then decided to intentionally put on Klum, loading the bases with two outs. 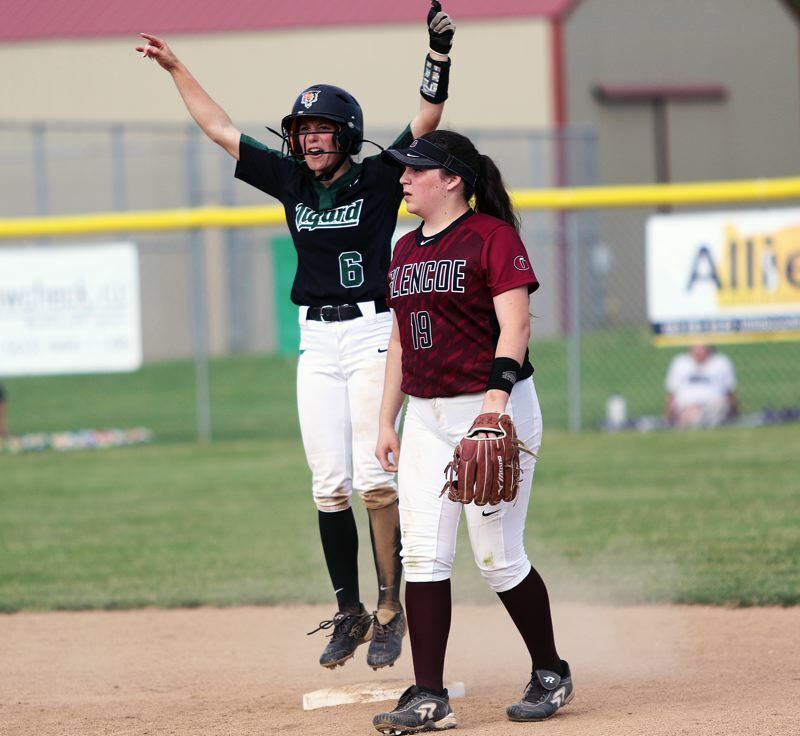 Hoover made Glencoe pay for that strategy, as she followed with a single to center field, driving in both vanderSommen and Soderquist, upping the lead to 3-0. 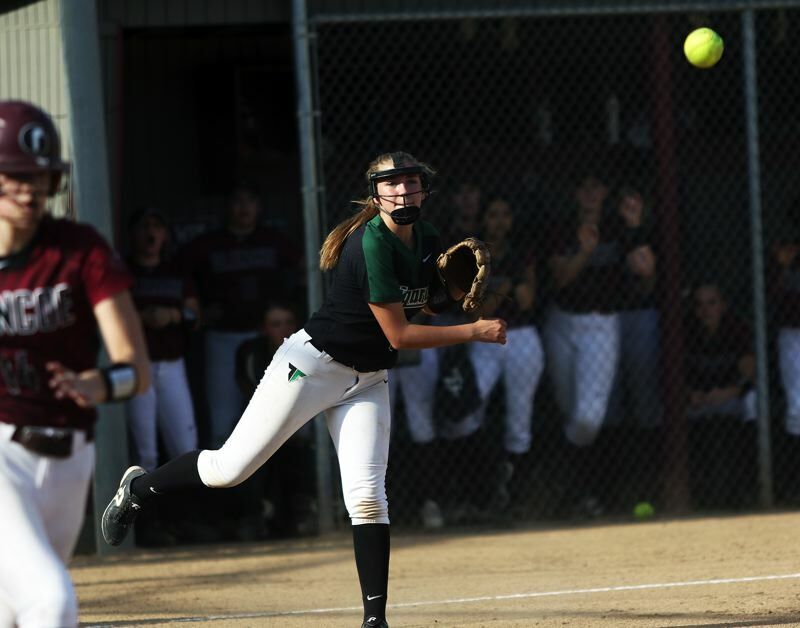 "I've been put in this situation before, against Tualatin, and I was like 'OK, just stay focused and get a base hit, and get the runners in,' and that's what I did," Hoover said. "I was really excited, and the dugout was really excited, too, and that makes the energy so much better." Glencoe, still battling, got singles from senior Taylor Butterfield and sophomore Alivia Eastman to lead off the bottom of the seventh. But that didn't seem to bother the Tigers. "Not a worry," Davis said. "I trust (the Tigard fielder) and they trust me. We really had each other today." 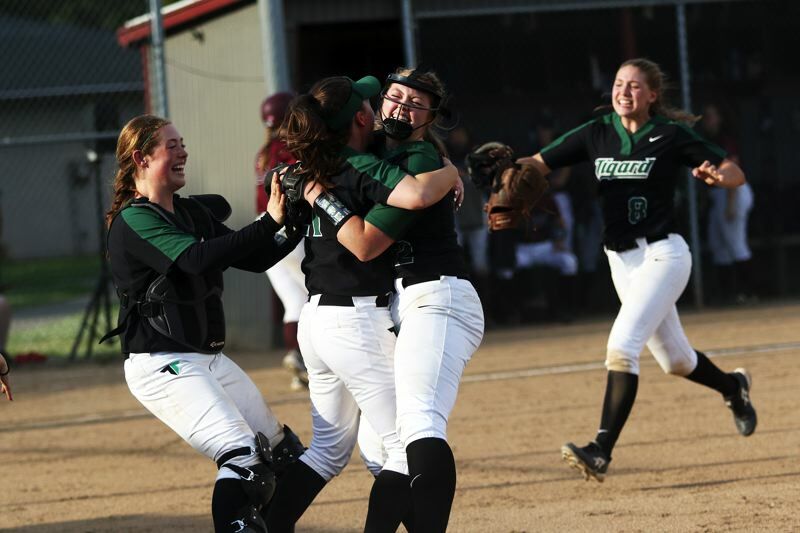 With the potential tying run at the plate, Davis got a pop out, with Hoover making a leaping catch, and back-to-back strikeouts to end the game, and start Tigard's victory celebration. "We were well-prepared and we felt we had a chance in this game, and we felt we were capable of winning," Davis said. "This was absolutely fun. I'm so excited to see where this all goes." Hoover went 2 for 3 at the plate in the win, with a pair of RBIs. Paulson went 2 for 4 with an RBI. Klum had a hit and a run scored. Dardis, vanderSommen and Soderquist had the other Tigard hits. Dana Butterfield had a spectacular game for the Crimson Tide. From her second base spot, she made a diving snag of a line drive off the bat of Riggs in the top of the third inning. Then, in the top of the sixth, she made a diving stop of a grounder by Hoover, and then, from the ground, made a backhand flip to freshman first baseman Megan Gaskin for the out. "We made a little hashtag. We said 'play to stay together.' We knew, win or lose, this could be one of the last games on this dirt field, so we were putting everything out there on the field today, and that's what I did," she said. "I wanted to stop every ball, and I wanted to stay. And it took every single person fighting all game." Eastman went 2 for 3 at the plate for the Crimson Tide. DeBord, Taylor Butterfield and Dana Butterfield had one hit apiece. North Medford, the Southwest Conference champion, and No. 3 team in the power rankings, brings an overall record of 24-4 into Friday's state playoff quarterfinal game. 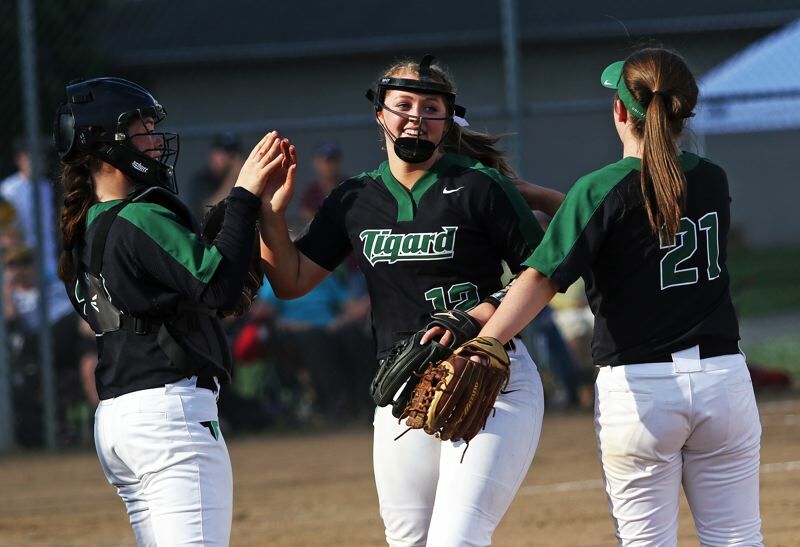 Tigard, if it wins at North Medford, will travel to either Clackamas or Grants Pass for a state playoff semifinal game on Tuesday.